Power that meets or exceeds the power of gas. Durable, weather-resistant construction. Push-button start. Incredible performance. 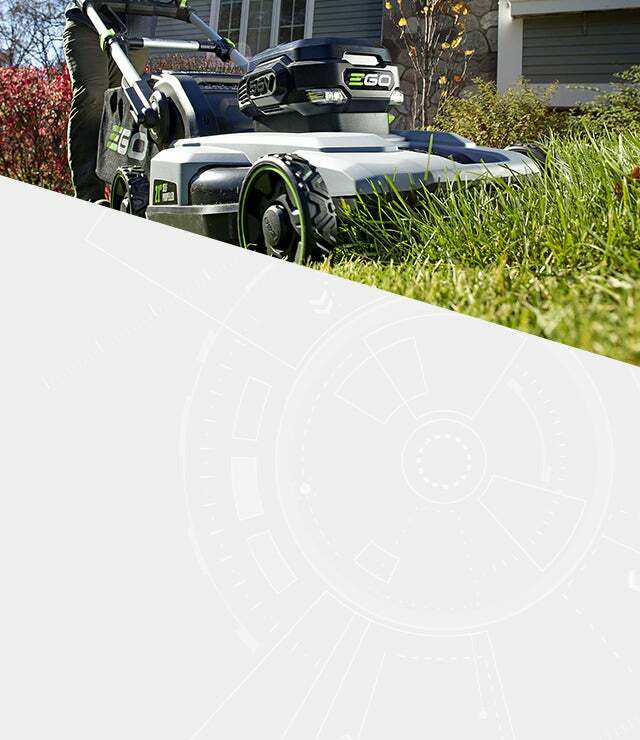 Just a few reasons why real customers give their EGO mowers such high ratings. 62.61 Up to 50 Minutes (w/ 5.0Ah battery) 1.5"-4" 21"
55.34 Up to 45 Minutes (w/ 5.0Ah battery) 1.5"-4" 21"
62.61 Up to 80 Minutes (w/ 5.0Ah batteries) 1.5"-4" 21"
60.85 Up to 70 Minutes (w/ 7.5Ah battery) 1.2"-4" 20"
56 Up to 55 Minutes (w/ 5.0Ah battery) 1.2"-3.5" 20"
55.34 Up to 55 Minutes (w/ 5.0Ah battery) 1.2"-4" 20"
Trim, edge, and tame weeds with our selection of powerful string trimmers. 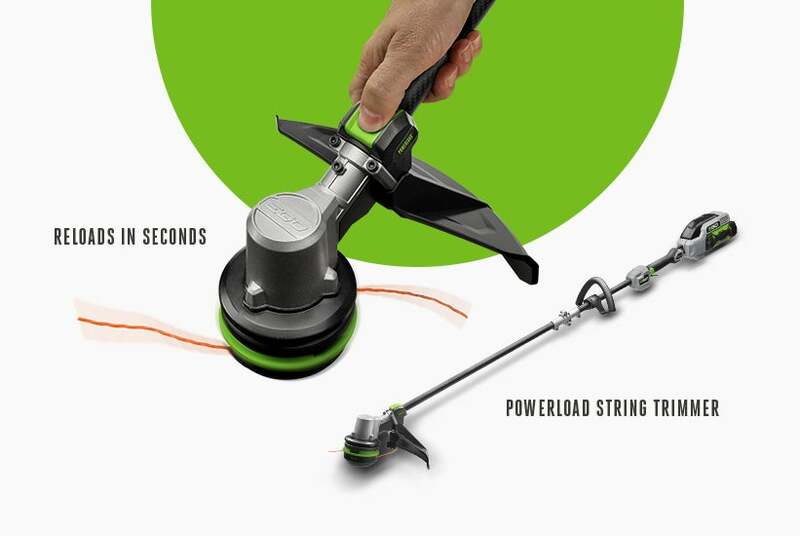 For unrivaled cordless power and longer run times, you can’t beat EGO. 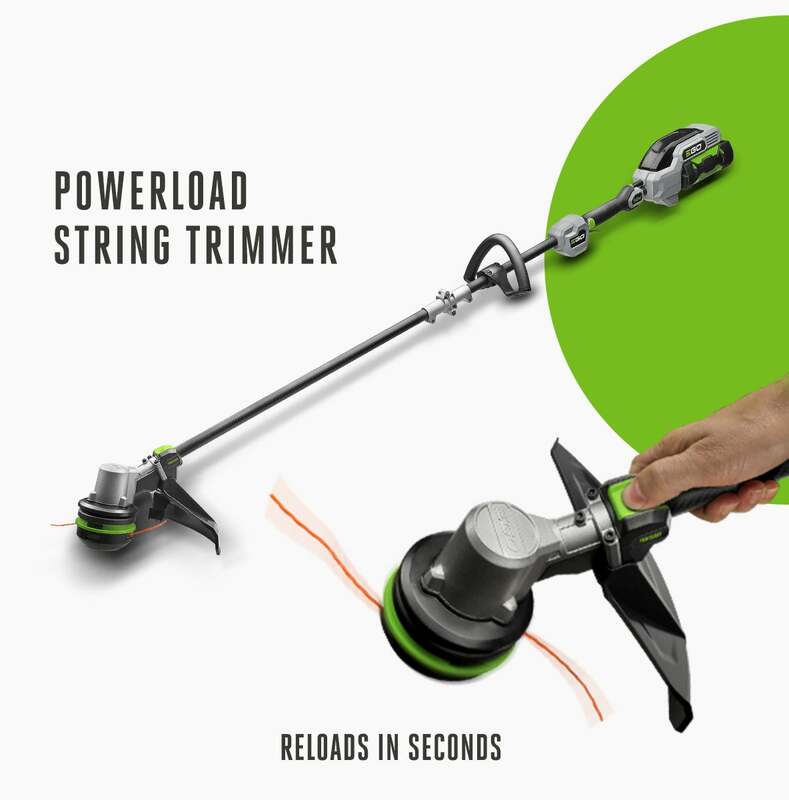 And for the ultimate in convenience, check out the world’s first self-winding trimmer with POWERLOAD™ technology.